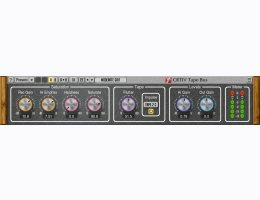 CRTIV Tape Bus plug-in for professional music production applications recreates characteristic elements of the reel-to-reel tape sound. This includes saturation, modulation noise and smearing effects which are known for the “analog” feel they bring to audio recordings. This plug-in also applies a selected impulse response taken by Voxengo from existing tape machines.